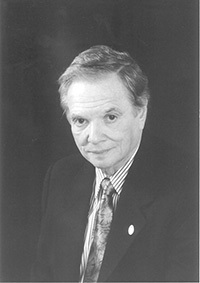 Dr. Earl A. Grollman a pioneer in the field of crisis intervention, was rabbi of the Beth El Temple Center in Belmont, Massachusetts, for thirty-six years. A certified death educator and counselor, he was cited as "Hero of The Heartland" for his work with the families and volunteers of the Oklahoma City bombing. Dr. Grollman has spoken at many colleges, clergy institutes, seminaries, physicians' forums, and hospital nursing associations, and has addressed many support groups, such as Compassionate Friends, Mothers Against Drunk Driving, and Widows Personal Services. He has also appeared on national television and radio, including The Oprah Winfrey Show, Children's Journal, All Things Considered, and Mister Rogers' Neighborhood. Recently, he was featured on National Public Radio's End of Life series in the roundtable discussion on grief and bereavement. Hospice Care Award for "his significant contribution to the understanding of the plight of the terminally ill and the bereaved"
"As a counselor, an author, and a person, Earl Grollman makes a wonderful difference in this world." "Like having a talk with a wise, caring friend." "Earl Grollman's writings occupy a special place on my shelves . . . No one does a better job of helping us help the stricken adult or child to cope with grief."